Richmond Plains is an organic winemaking pioneer producing New Zealand’s first Certified Organic Sauvignon Blanc and Pinot Noir. They also produce Pinot Gris, Riesling, Chardonnay, Rose, Syrah and Blanc de Noir – Pinot Noir made as a white wine. By using organic methods they truly express the vineyard’s character or terroir in the wines. 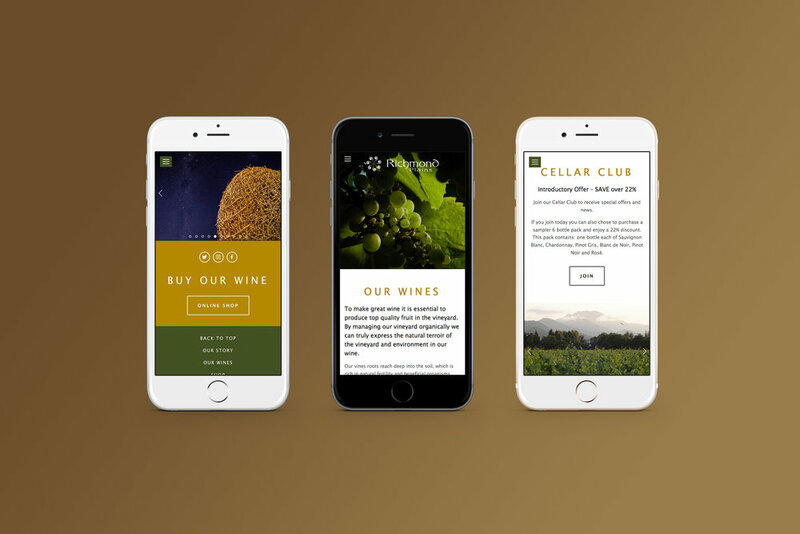 Richmond Plains approached UpShift to create an engaging website that helps it tell its unique story and enables visitors to purchase its wines direct. Using the Squarespace platform we applied our strategic design process to create a website that delivers a quality user experience across all devices, whilst building on the brand's core values. The result is a clean, easy to navigate online channel that looks great and is able to grow and develop over time.